for $369,000 with 2 bedrooms and 2 full baths. This 1,827 square foot condo was built in 1979. 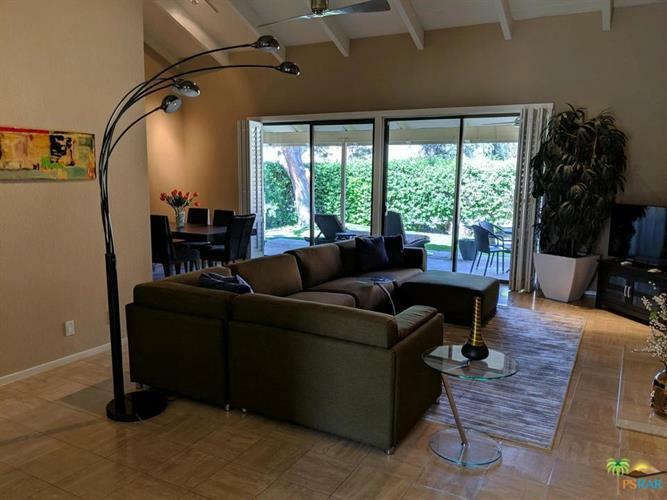 Los Cocos: Quite Gated Complex in Central Rancho Mirage. Great Interior Location on a corner lot. 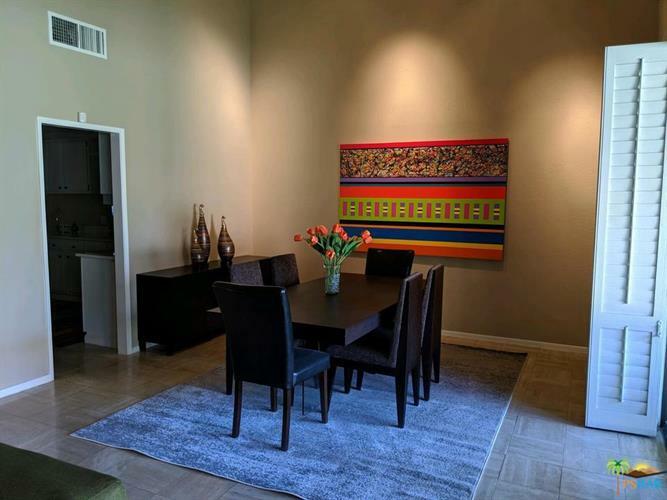 Spacious floor plan with double door entry opens to great room living/dining area with fireplace, wet bar and vaulted ceilings/sliders to covered patio area for grilling or relaxing with a nice mountain view. Home offers 1, 827 sq ft with large master bedroom and remodeled master bath. Spacious kitchen offers lots of cabinets and breakfast area. Nice Laundry room and Double-car garage has direct entry to home. Community offers 3 pools and spas, sports court, lighted tennis courts, fitness and clubhouse. Low HOA of $585 includes: Earthquake Insurance, Basic Cable, Roof Coverage and Trash. Close to shopping, restaurants and gold courses. Don't miss out on this property!!! !